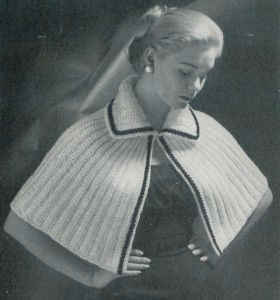 Here’s a vintage pattern from our archives that we have updated for today. 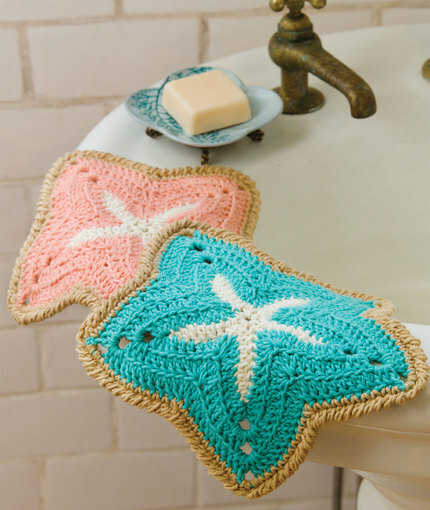 Crochet these clever starfish-shaped dishcloths and use them to wash dishes as you daydream about the beach. 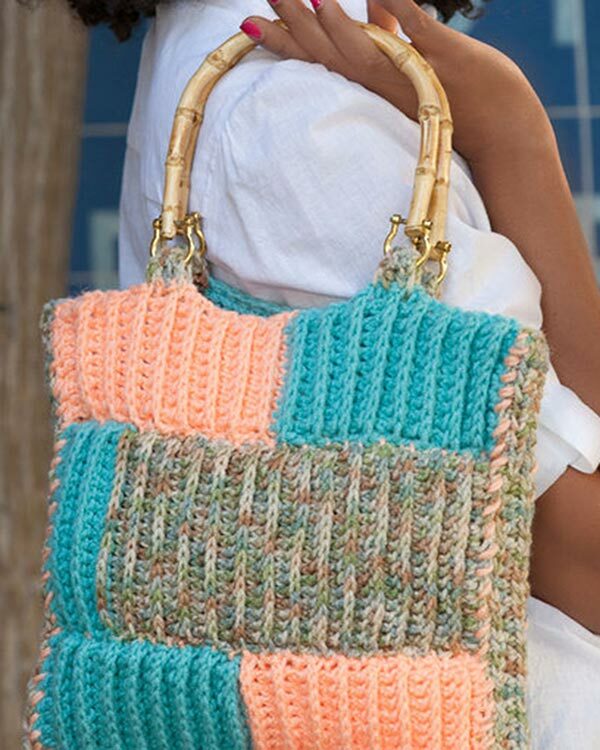 Gauge/Tension: GAUGE: 17 sts = 4″ in stitch pattern. CHECK YOUR GAUGE. Use any size hook to obtain the gauge. times more – 5 points. Fasten off A. Place marker for beginning of round. Round 2: Join B in 4th dc of previous point, ch 2 (counts as dc), *([yo, insert hook in next st, yo and pull up loop, yo, draw through 2 loops] 5 times, working 2 sts in previous point, 1 st in sc in ring and last 2 sts in opposite edge of ch-9 of next point, yo, draw through all loops on hook), dc in next 4 sts in opposite edge of ch-9, skip last st, (3 dc, ch 3, 3 dc) in tip of point, skip next st, dc in next 4 sts; repeat from * 3 times more, (yo, insert hook in next st, yo and pull up loop, yo, draw through 2 loops] 5 times, yo, draw through all loops on hook), dc in next 4 sts, skip last st, (3 dc, ch 3, 3 dc) in tip of point, skip next st, dc in next 3 sts. times, yo, draw through all loops on hook), dc in next 5 sts, skip next st, (3 dc, ch 3, 3 dc) in next ch-3 space, skip next st, dc in next 5 sts; repeat from * 4 more times. yo and pull up loop] 3 times, yo, draw through all loops on hook), sc in next 9 sts, 3 sc in next ch-3 space; repeat from * 3 times more, sc in next 9 sts, ([yo, insert hook in next st, yo and pull up loop] 3 times, yo, draw through all loops on hook), sc in next 9 sts, slip st in first sc.